As summer comes to a close, there’s no better time to take advantage of the abundant surplus of zucchini than to break out our handy-dandy spiralizers and create lots of simple delicious recipes. These tasty veggie noodles are not only perfect for those living gluten-free or grain-free, but they’re also an easy way to get more veggies on your family’s plate since almost everyone enjoys zoodles! This quick and easy recipe is a real family favorite, especially with kids. 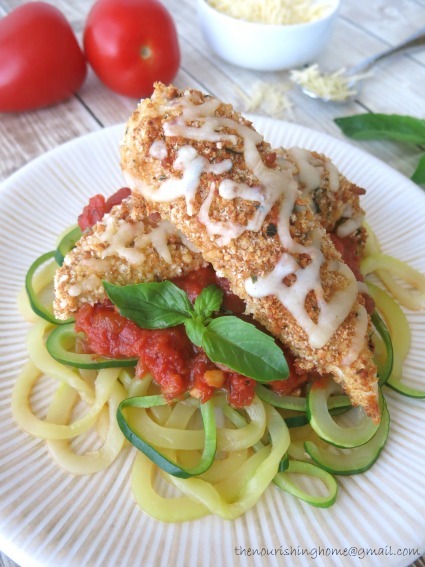 That’s because this version of baked chicken parmesan is essentially Italian-seasoned chicken tenders with just a touch of cheese (optional). I typically serve them atop a big mound of lightly steamed zoodles topped with our favorite homemade marinara sauce. I make this tasty sauce in big batches and freeze it, which makes this an especially quick meal. Or in a pinch, I use a healthy jarred marinara sauce. 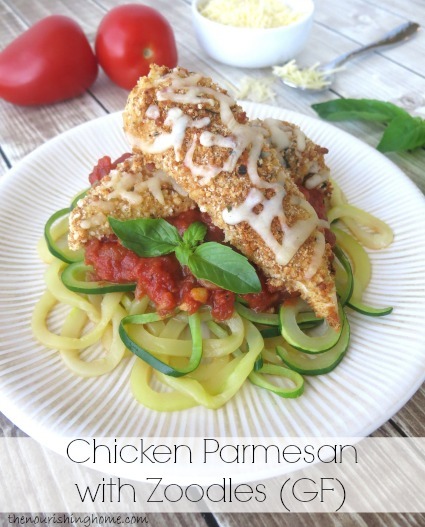 Another time-saver is to make an extra batch of these tasty parmesan chicken tenders to serve solo (rather than on top of the zoodles). They go great with sliced raw veggies and a side of creamy ranch dressing for delicious dipping! Looking for more Zoodle Recipes? In a wide shallow bowl or dish, whisk egg until slightly foamy. Cut chicken breasts into strips. On a large plate, combine breadcrumbs, Parmesan cheese, salt and Italian seasoning. Dip chicken into egg wash, one piece at a time, and dredge through the breadcrumb mixture, making sure to thoroughly coat each side. Place chicken tenders on prepared baking sheet and sprinkle with a pinch of salt. 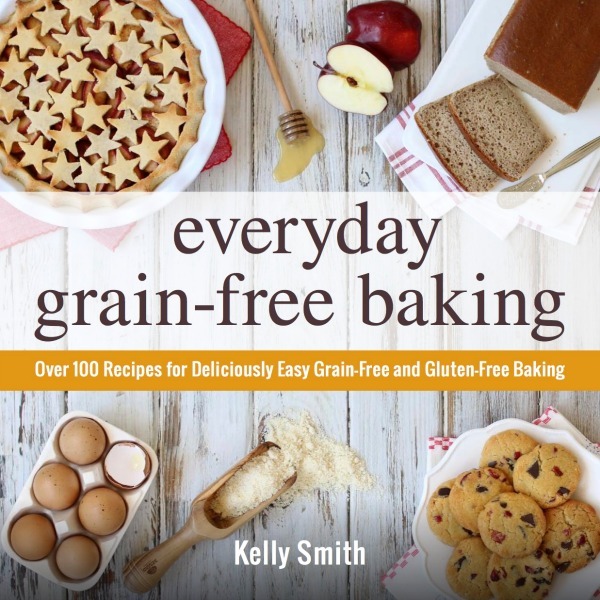 Bake approximately 15-18 minutes, until breadcrumbs are lightly browned and chicken is cooked through. Sprinkle top with mozzarella cheese, if desired, and return to oven for just a minute or two to melt the cheese. Use tongs to divide zucchini noodles among four plates. Top with marinara sauce and 2-3 parmesan chicken strips. Easy and delicious! Is there an advance to buying a spirilizer and using various types of squash, over simply baking spaghetti squash? (Normally, I just cut it in half, bake, then scoop out the “noodles”.) Less nutrients perhaps? Thanks!